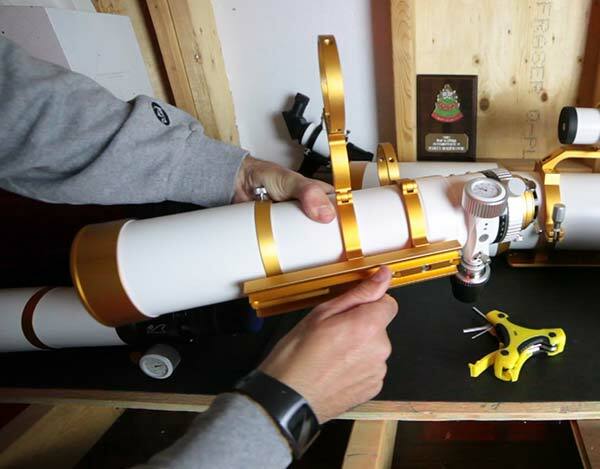 The William Optics Zenithstar 73 is an apochromatic doublet refractor telescope built for astrophotography. With an objective lens using high-quality FPL-53 ED glass, the Z73 APO is a superb deep sky imaging performer. 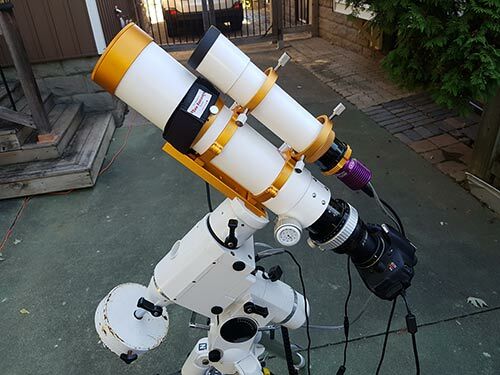 The example images shared on this page should give you a good idea of what you can expect in terms of astrophotography with this compact refractor. 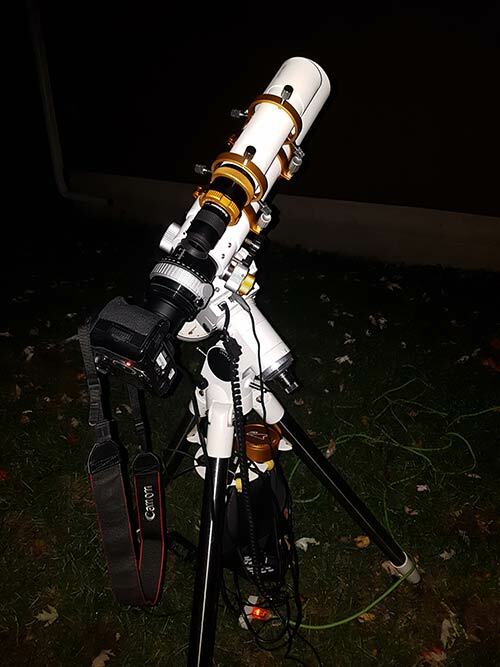 I have used the Z73 to capture a number of deep sky objects in my backyard, and have found it to be a tremendously versatile and impressive instrument. 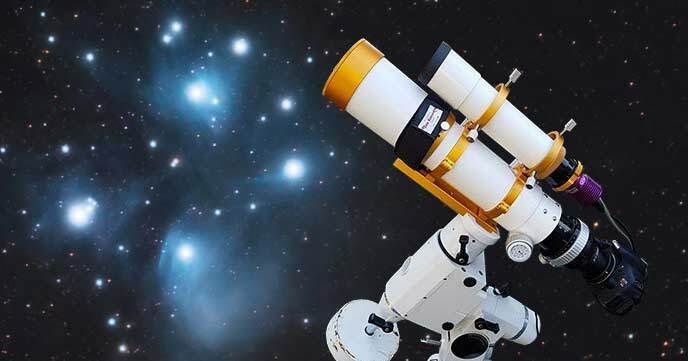 Anyone in the market for a premium wide-field imaging refractor in a compact package will be hard-pressed to find a contender that can top the Zenithstar 73. This telescope is a full-frame apochromatic refractor, which means that it’s perfect for cameras such as my Canon EOS 5D Mark II, or the popular Canon 6D. The large imaging circle means that your images will not show vignetting near the edges of the frame. 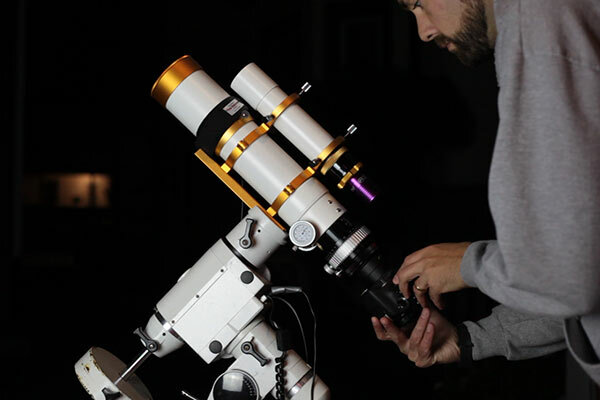 William Optics offers 48m T-Ring mounts to attach your Canon or Nikon DSLR to the telescope. 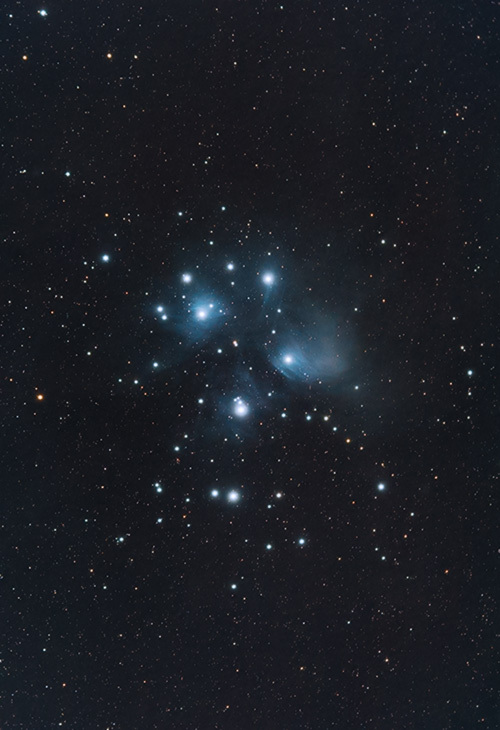 The Flat73 1:1 field flattener is recommended for full-frame astrophotography cameras, and what I have used for the images on this page. As with many of the telescopes from William Optics, the Zenithstar 73 comes in a number of color combinations and accessory packages. The designs are also tweaked year over year. The model featured in this review is the 2018 edition with gold accents, with the new integrated diffraction-spikes Bahtinov mask in the dust cap. With a focal length of 430mm, you’ll be able to capture large deep sky objects such as emission nebula and open star clusters. The field of view allows you to capture large targets in their entirety, or in new framing presentations. 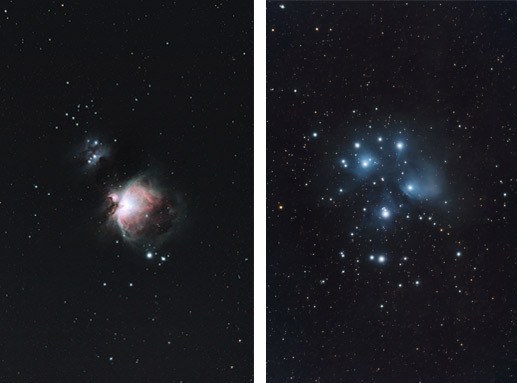 In the fall of 2018, I captured the Orion Nebula, and the Pleiades star cluster using the Zenithstar 73 and a full-frame DSLR. The images above were captured using a stock Canon EOS 5D Mark II, with an Optolong L-Pro broadband filter in front of the sensor. The camera was attached to the telescope using the Canon 48mm T-Ring, with the Flat73 field flattener in place. 2-inch (48mm) filters conveniently thread inside of the Flat73 field flattener. This is a great location in the imaging train and can easily be swapped out for another filter type between imaging sequences. The flattener threads directly into the telescope focuser draw tube for a secure connection. The Ohara FPL-53 ED Glass is a top of the line material found only in the best apochromatic refractors. This makes the Zenithstar 73 an excellent choice for those looking for a primary imaging telescope. This APO doublet captures sharp, high contrast images free of false color. The Z73 is very compact and portable. It weighs only 5.5 lbs, which means that you don’t need a large equatorial mount with a heavy payload to use it for astrophotography. I used this refractor with my humble Sky-Watcher HEQ5 Pro SynScan exclusively, and it required only a single counterweight. It is often said, that the best telescope is the one you use most often. With a retracted length of 330mm and convenient mounting options, you’ll have no excuse not to deploy the Z73 for a night of deep sky astrophotography on a moments notice. I often leave the Z73, camera, counterweight, and all accessories attached to my telescope mount and carry then entire rig in and out of the garage. Along with the Z61, it is easily one of the most manageable astrophotography telescopes I’ve ever used. The built-in star-spikes Bahtinov mask makes focusing your DSLR camera through the telescope quick and easy. Simply point the telescope at a bright star, and position the central spike evenly between the “X”. The new mounting ring design is an improvement over the original, and mounting the 50mm guide scope was straight-forward. The color matched gold Vixen rail is both beautiful and functional. The telescope is held securely inside the mounting rings and can be adjusted back and forth to improve balance if necessary. I appreciate the included rubber-tipped screws that do not damage the painted finish of the optical tube. The 50mm F/4 guide scope has a 1.25″ opening for guide cameras such as the Altair GPCAM2, and a well constructed RotoLock adapter. This little telescope adds very little weight, yet provides reliable guiding results night after night. The William Optics Zenithstar 73 APO has an f-ratio of F/5.9. The focal ratio of a telescope represents its light gathering ability, and the Z73 hits the sweet spot. 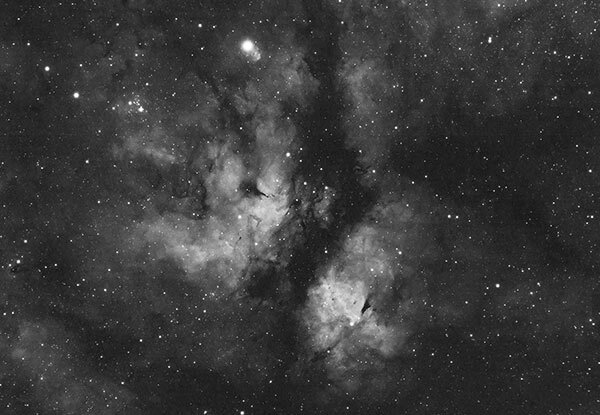 In my experience with the Z73, the combination of 430mm at F/5.9 was just right for collecting long exposure astrophotography images of the Butterfly Nebula and Heart Nebula. Although it is small, the 73mm objective is more than enough to gather impressive long-exposure deep sky images. The wide field of view is particularly effective on large targets such as the Andromeda Galaxy, The North America Nebula, and the Heart Nebula. The 2.5″ dual-speed focuser includes the William Optics signature thermometer. It’s buttery smooth and secure. With my heavy full frame DSLR camera attached, the focuser held its position even after pointing towards the Zenith and a Meridian flip. To confirm this, I simply pop the diffraction spikes Bahtinov mask on the telescope between frames. Full-frame DLSR camera owners looking for a reliable, high-performance imaging refractor will be thrilled with the Zenithstar 73 APO. I suggest investing in the complete package that includes the Flat73 field flattener, 50mm Guide Scope and 48mm T-Ring Adapter. The William Optics branded soft carry case is a nice extra to complete the package and keep the telescope safe when not in use. These are additional expenses on an already “premium priced” telescope, but you’ll have them for life. 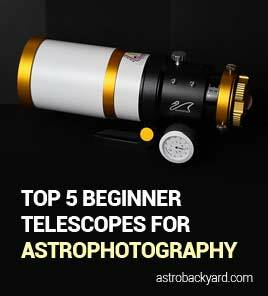 Consider the purchase of a telescope like to be an investment in wide-field astrophotography for the future. The precision focuser, integrated focus mask, and crisp image performance are what I enjoy about the Z73 most. The fact that I can quickly this telescope up for deep sky imaging means that I can use it on nights when clear sky time is limited, and still get a few hours of astrophotography in. Don’t underestimate the advantages of convenience and portability in this hobby. As your hardware and skills progress, it becomes increasingly rare.